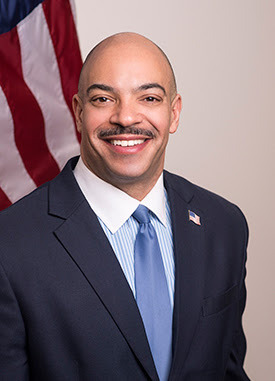 Veteran reporter Ralph Cipriano at Bigtrial.net offers a piece on his meeting Seth Williams, the former Philadelphia DA recently convicted of corruption charges. When you cover a trial, you meet everybody in the men's room. It hasn't been much of a relationship. On my end, as I mentioned previously, I just rip the D.A. for the shocking things he's done, things that nobody else in the media would call him on. I've blasted him for publishing an irresponsible grand jury report about the Catholic Church that was riddled with more than 20 factual errors; a bogus grand jury report that passed off as gospel the fraudulent fables told by "Billy Doe." I've taken him to task for trashing the reputations of six narcotics officers without a shred of proof. And for turning loose more than 800 drug dealers arrested by those same cops, similarly without any evidence of police misconduct. I've castigated him for not prosecuting perpetrators of domestic abuse, because it might lower his conviction rate at election time. And his response for five straight years has been remarkably consistent -- he just stonewalls me. Silence, usually from him, and often from his spokespeople. When I did run into the D.A. at press conferences, he would usually say hello to many other reporters by name, and then he would make a point of stiffing me. So. when I was covering his political corruption trial, the day after I called him a sleaze ball and a shakedown artist in print, when I ran into him in the men's room, I did not expect Rufus Seth Williams to thank me for my work.